Building a great game is a big task in itself, but funding it is just as important, and it’s often not given enough thought. Whether you’re early stage, pulling together designs, ideas and content, or if you’re three weeks away from global launch, you need to think about the funding strategy for your business. There are several funding options available to you, but only a couple can really help you grow. There are government grants, creative funds that can help, and many crowdfunding platforms you can raise investment through. But the real choice is between equity or debt funding. Both have their pros and cons, but what are they? Equity is where you raise investment for your company by giving away shares in it. There are a whole host of investors who would be interested in investing for equity, but the process can take a long time, the investors can be demanding, and you’re giving away a piece of your company that you’ve worked so hard to build, so it’s not always the best thing to do. There is another way… borrowing the money! Debt can come in many forms; from bank loans, to credit cards, to startup loans etc. Debt is often cheaper than equity, as although there is an interest fee, you aren’t giving away part of your business. It is important to know that in most cases, the money has to be paid back at some point, and you must look at the small print on the timings, and conditions around this. When is it right to borrow? When you’re just launching a venture, it can be tempting to want to get an injection of cash to get things up and running, but debt in the early stages can be very dangerous. Cash flow is the key to everything, and it is better to use debt as you’re scaling and about to hit that inflection point. Some loans come with restrictions, and you must be aware of this. Restrictions can range from the security that is taken over your business, to your ability to raise funds in the future. It’s important to be careful here, as you don’t want to sign up to something that might limit your growth six months down the line. Be sure to balance your short term cash needs, with the longer term strategic goals for your company. Most importantly, debt isn’t dilutive, unlike equity, so if your business is doing well, it might be the better option. Debt can make a huge amount of sense if the project you are investing in, has a higher return than the cost of the debt itself. For example, if your game is ready to launch, and you know through your testing of the channels, that you can acquire users for $5, and generate revenues of $6, that is exactly the right time to spend more on acquiring users. Most equity investors would happily put money in to your business at that point, but if you can debt fund it, you achieve the same results, but keep more of the profit for your company. 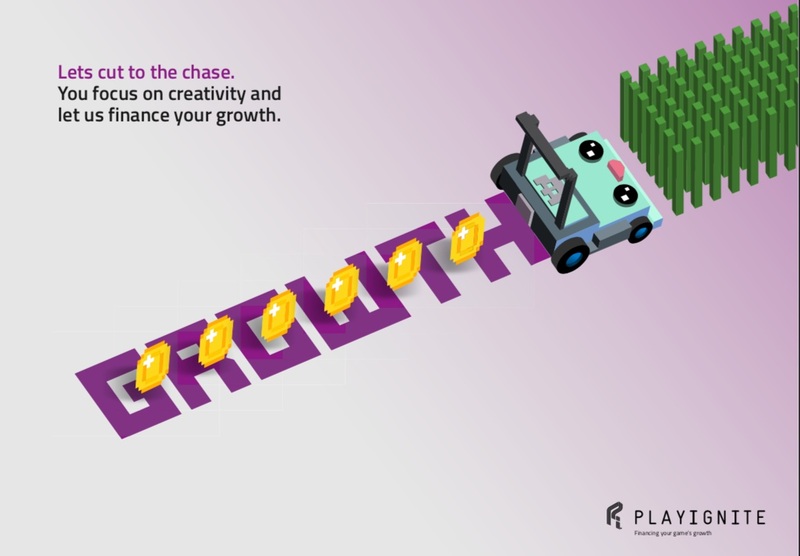 At PlayIgnite, we are focused on lending to companies for two reasons; one is to help your cash flow needs (advancing VGTR with our PlayCredits financing solution and advancing revenues stuck at the digital stores), and the other is growth capital to help you market your game and grow your user base. Our most unique product is Ignition Capital, where we look at the profitability of your UA spend, and lend to you based on those results. The PlayIgnite dashboard takes your data and analyses it, we give you full access, so you can see the insights for yourself. You’ll see the LTV and ROI through our lens, and how close you are to the magical point of scaling up (no matter what – we’ll even give you access for free, if you simply want to see our take on your game). Once your early UA spend is working, we can give you all the capital you need, to grow.